I've literally just got back from the Debenhams Christmas press show and couldn't resist giving you a sneak peek at something very exciting! As you may know, Debenhams are launching Kat Von D makeup this autumn (October-ish) which is VERY exciting. Like, almost do a mini wee exciting. On top of all the regular lines, we will also be getting some amazing Christmas/Holiday gift sets, not least this ginormous eyeshadow palette which looks AMAZING. Now, I wasn't able to swatch any of these shadows as this was only the preview copy, but if it's anything like the rest of her products, I think we are onto a winner. There's a mix of matte and shimmer shadows - most of which match up nicely together. 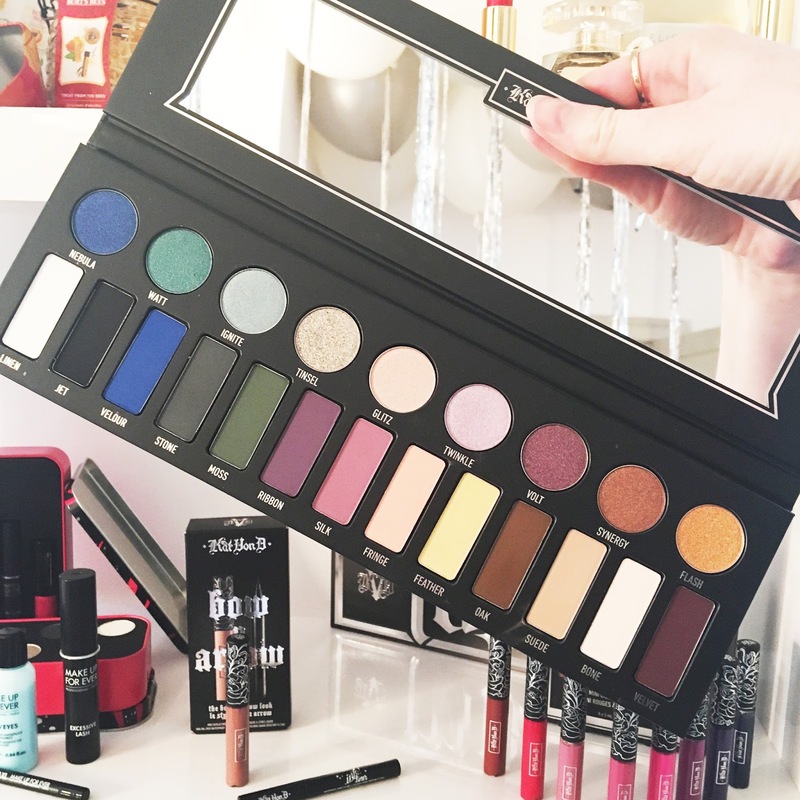 The palette itself is huge, easily twice the size of a normal Kat Von D palette or Naked palette, so it won't be a portable one, but definitely one to add to your Christmas list. Exact launch dates and prices are still to be confirmed, but expect to see it drop around end of October/early November. I heard it may be an online exclusive, so fingers crossed they have ordered lots of them to keep up with the demand! Are you excited for the Kat Von D UK launch? What do you think of this palette?